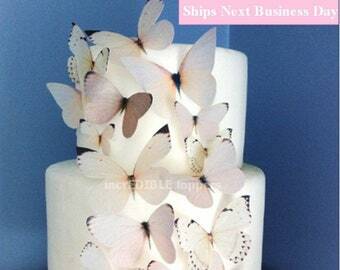 Edible Butterflies for Cakes and Cupcakes. Rainbow Butterfly Cake. Wedding Cake Topper and Birthday Cake Decorations. Rainbow Monarch Butterflies. Wedding Cakes. Edible Images for Cakes and Cupcakes. 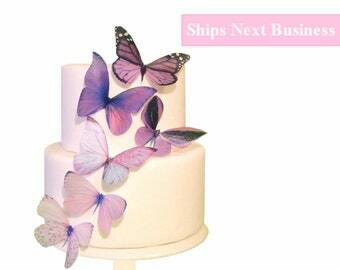 Our Edible Butterflies© make it super easy for the Home Baker to fancy up your cakes and cupcakes! Don't have time to bake? 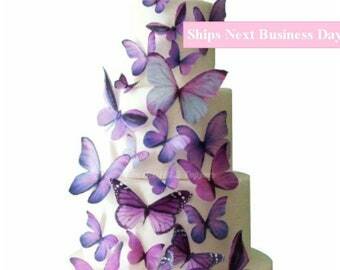 Purchase a cake from your local grocer - add some butterflies & voila! 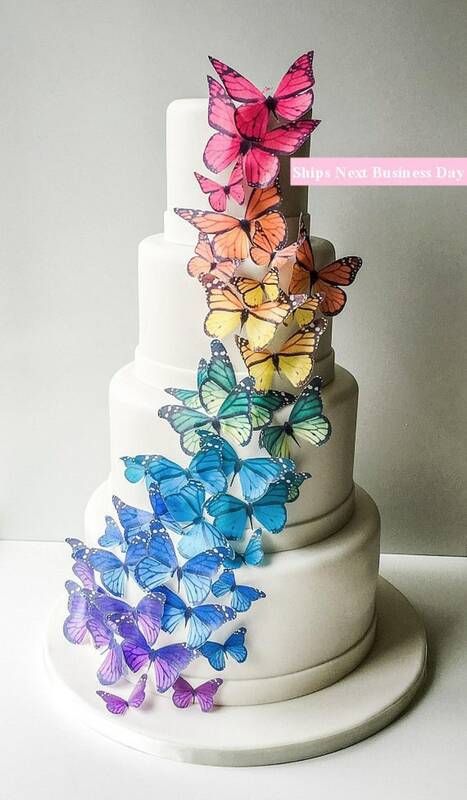 Monarch Edible Butterflies in the colors of the rainbow! ★ Our toppers are paper thin images printed on wafer paper. These are not 3D. These beauties ship flat to you. You then fold the wings up for a realistic look. The edible butterflies are fantastic. Lovely, lovely, lovely! Shipping fast to Au.